In Bird by Bird, Anne Lamott states that Monday is the worst day to write, and that December is a month of Mondays. While it is about the external elements (the shortened days, raging rivers of street slush, broken radiators, etc), the struggle takes place indoors, or, inside the mind. Emily Dickinson used to refer to these nights as "evenings of the brain." For those of you who want to jump into the deep-end of the handwriting pool, these are some great diving boards. Two notes: first, we highly encourage you to pair together Brencher's memoir with her letter writing stationery kit, as we heart everything she does; and second, The Assassin's Cloak anthology is particularly wild because it's organized by date, and so for a big chunk of our last year, we would read the entries from each day in the morning to get us going. February 6th was particularly enlightening, as there were entries from 1769, 1881, 1922 and 1941. 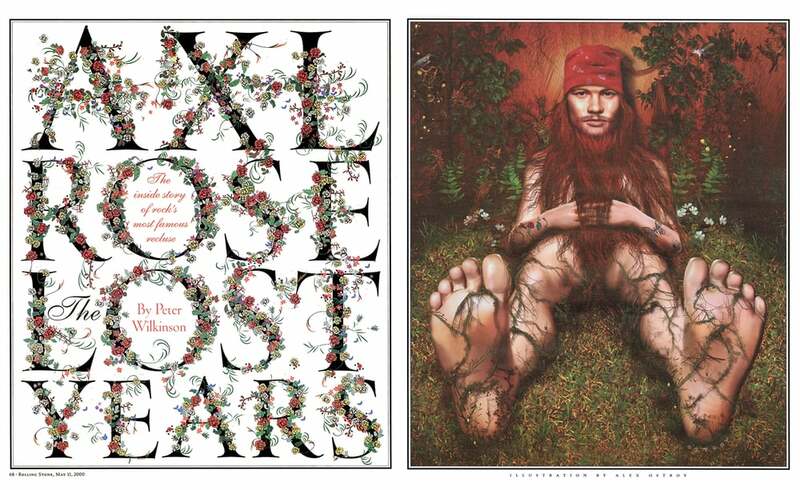 If you're looking for a gift, we recommend the below art objects. Inspiration is guaranteed. Whenever we feel a little bit of pressure mounting, we crack open these covers, get lost in their letters, and a few daydreams later, we're back to the page. The medium-sized hardcover notebooks from Leuchtturm are a new favorite of ours — and not just because their cheerful, mod two-tone covers (“biColore”) are an antidote to the winter grays. With numbered pages, a table of contents, and supplemental stickers for archiving and organizing, you feel like you’re writing a real book as you scribble towards the 249th page finish line — which is some 100 pages longer than most similar style journals. There’s a gusseted pocket for stowing paper ephemera, and an elastic band to keep your words tucked in at night. The Shinola Detroit notebooks are manufactured by Edwards Brothers Malloy — a family-run printing business that has made books and journals since 1893, and which employs more than 900 people in Ann Arbor, Michigan. As their mission statement goes, Shinola respect the evolving nature and power of the handwritten word, and aim to "uphold the art of putting pen to pad and preserving communication.” The Smyth sewn binding method used not only allows your notebook to lie flat when open, but it increases its life expectancy and durability. They come in a bunch of different sizes, colors, and material groups — the linen options being the best to cuddle up to. But if completion is important to you, then check out the sketchbooks from our partner in the pen, The Sketchbook Project. You have one year to complete this blank little book. Though, time is running out, so click your way into a great activity by checking out their offerings on their site. Lastly, Happy Holidays, everyone. Stay safe, keep the beautiful pen busy, and be in touch. "Technologies of communication, from telegrams to texting, have long threatened the written word. And yet, handwriting continues to prove its nimble nature. 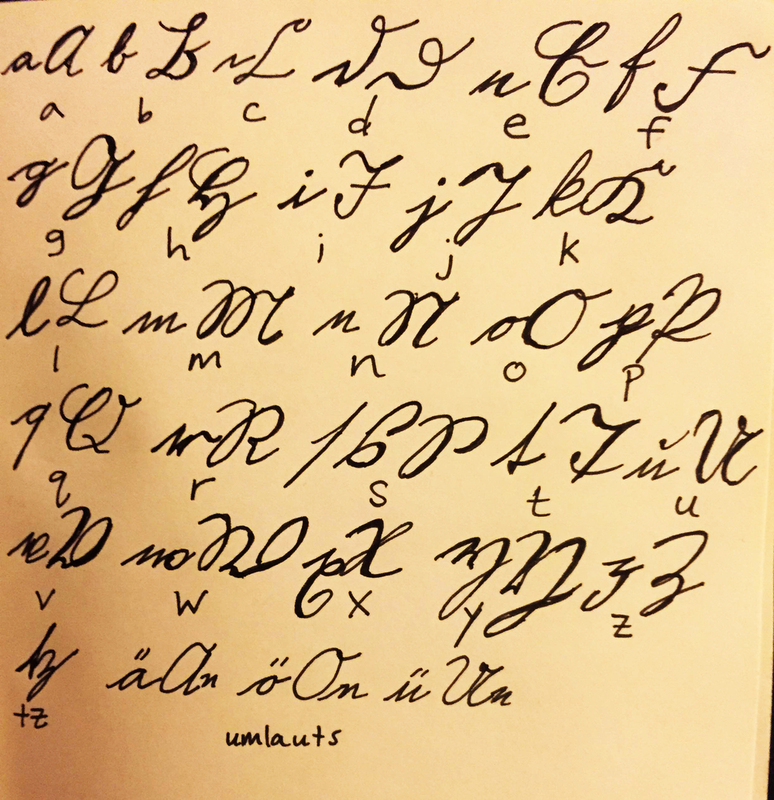 The craft of handwriting has flourished online, especially on social media. 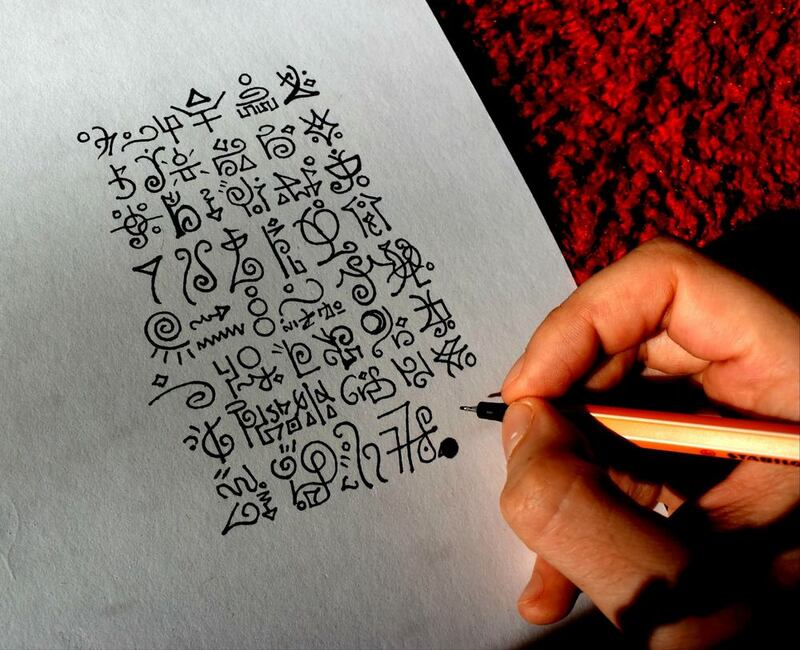 Artists, thinkers, and makers alike are experimenting with penmanship in innovative ways. Along these lines, the Archives continues to digitize and make our vast handwritten records available online for new generations to discover." "Designed by Princeton Architectural Press, the book operates much like a gallery exhibition, privileging the visual over the verbal so that we may take in the high quality images as art objects before reading the accompanying “wall text” that complements and situates them." Working on Pen to Paper was interesting for me because it brought Burchfield’s handwriting into a larger context. 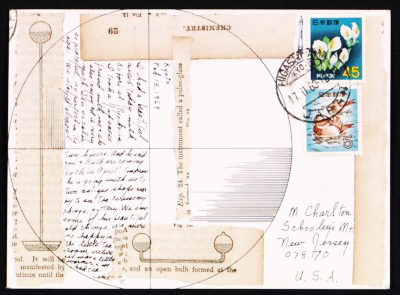 While some artists took time and care in crafting letters to friends, Burchfield had little concern for the elegance and precision of the written word. This project reminded me of the actual, physical connection between writing, writer, and words. It’s especially telling in the context of someone like Whistler, who was such a clever writer and for whom words were his weapon of choice in his battles against the (to his mind, at least) unappreciative British public. "It’s concerning that kids growing up today might not be able to read letters, read these manuscripts. Flavin’s early text is so difficult to read, you almost feel shut out. He has all these flourishes, especially the way he ends a word. It’s very sad when this kind of information becomes inaccessible." We are over the moon to be partnering with the Smithsonian's Archives of American Art to celebrate the launch of Pen to Paper, an object of art published by Princeton Architectural Press, by hosting this culminating event, “Pen to Panel,” at none other than the world-renowned The Sketchbook Project. What better setting than a massive room lined with thousands of sketchbooks from humans around the world? Join us on September 10th, from 6 – 8pm, for an evening of conversation, Brooklyn lagers, and archives. Curator of Manuscripts Mary Savig will be bringing letters from their archives to exhibit in the space, and around 7pm, we'll be quieting down to listen to five incredibly bright minds talk about the art and act of writing by hand today. On the panel will be Mary Savig, Linda Shrewsbury, Tullis Johnson, Luis Jaramillo, and Barbara Bash. 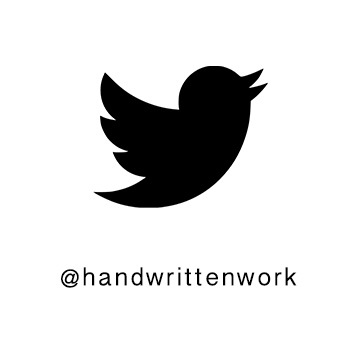 You can see more information about our panelists and get a sneak-peek at Pen to Paper by visiting our online exhibition here: www.handwrittenwork.com/pentopanel. The event is free, and so is the beer thanks to Pipe Dreams NYC! So come one, come many. We hope to see you at The Sketchbook Project for a few hours of wild words. Until then, keep the beautiful pen busy, and ink responsibly. 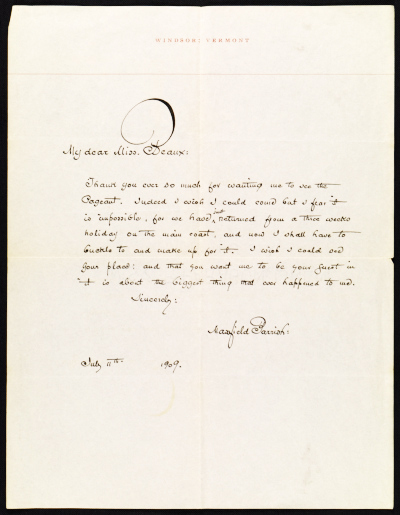 Curator of Manuscripts, Mary Savig, will be bringing some of the letters from Pen to Paper, which was published by PA Press (2016). See our Facebook Event here, or enjoy the Handwritten Exhibition, What Stories Will Your Handwriting Tell?, which showcases letters from Pen to Paper, as well as exclusive interviews, essays, and reflections with Mary Savig and several of the contributors from the anthology. Eight months ago, we welcomed Carly Butler to the Handwritten Team as curator of a new column, Life's Letters. It was inspired by a discovery that led to a journey: after finding 110 love letters written from her grandmother to her grandfather, Carly packed her bags and went to the address of the first letter: London, England. The only catch is: she had just fallen in love. So while she spent months retracing her grandmother's steps and reliving her letters day-by-day, she, too, was embarking on her own love and life through long-distant letters. All the while revisiting the past and dreaming of the future, Carly encountered scores of people who all had stories of their own, and finally, someone to share them with: Carly. This is the very reason Carly wanted to start the column: to showcase other peoples' stories as contained and ignited by the handwritten letter. Each story she curated detonated silently in the heart, from An Informal Memoir Joselyn Smith-Greene to The Keepers by Sharon Huget. And it's been such a wild joy to watch the stories unfold and get shared around the world. You won't see Life's Letters as a column, but the spirit lives on: as Letters Editor, Carly will be editing and curating all things letter-related, but she'll also be more involved with Handwritten's exhibitions, social media, events, and even the digital curriculum we're currently creating in collaboration with Karen Benke. To have her more involved brings us tremendous joy, as she is a trilateral power base of kindness, laughter, and great ideas. We can't wait to see what the next 8 months bring! This interview capped off the month-long exhibition, Maybe U R Like Me, which connects people across borders of identification by establishing the possibility of a sameness, and similarity, that was otherwise unexpected. Here, we ask Ty about anonymity, privacy in public, and intimate encounters. If we could all think, "Maybe u r like me" this year, we'd be much better off. My dad and I co-wrote a song together for the first time in March of 2015. Seeing the song come to life from the penciled pages of his handwritten notebook made me curious about the process, specifically in the earlier days of his songwriting. When I brought up the idea of being featured on Handwritten, he knew exactly what he wanted to share. Below is the conversation with my dad, Dale Butler, folk singer-songwriter and local celebrity of Leamington, Ontario. CARLY: Where did you find these pieces of handwritten work? DALE: I was cleaning up the basement and found them in a folder. One of them is a finished song that is handwritten, but most of them are a bunch of started and unfinished songs, a dog’s breakfast really. 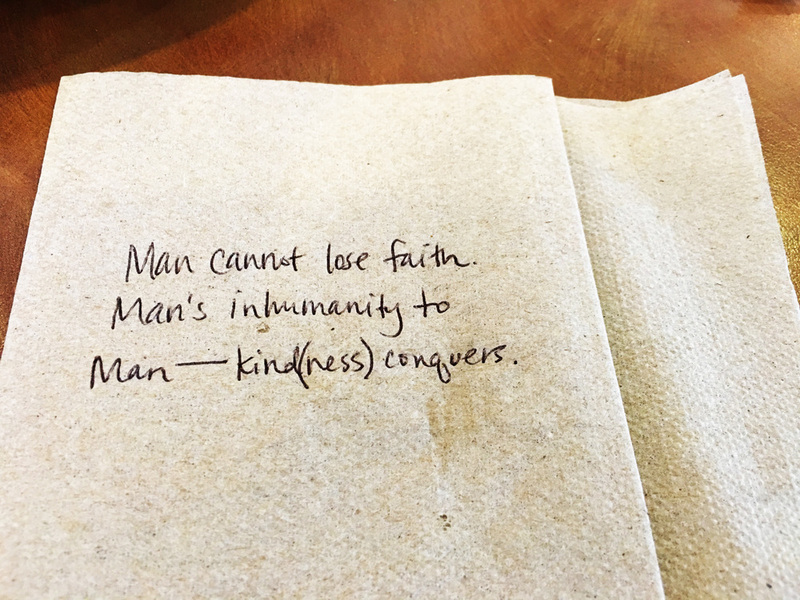 These were written on shopping bags that date back to 1977. I was working up north at a camp at the time, so I probably got it from the liquor store. I thought it was nice paper that I could cut up into pages. I didn’t have paper with me so I used what I could find. You have to get creative sometimes. I’ve written on envelopes, napkins, things I find in the glove box, business cards, gum wrappers or packages, and I’ve even written songs on cigarette boxes (even though I don’t smoke). When you get looking at these scraps of paper, it’s funny what you write, because a lot of times things that are said are never documented. If you don’t write it down there’s a good chance it will be lost. CARLY: I notice that you always use pencil. Why is that? DALE: I write with pencil because I have trouble spelling and because you’re always rewriting. With a pencil it’s easy to erase and fix it. When you write with ink, you have to scratch it out and put the other word beside it. CARLY: Don’t you ever worry that you’ll erase something good? DALE: No. If it were good it wouldn’t have gotten erased. I have lots of things that are partly written. I found a few lines in this pile that I think are going to become a song that I want to finish. They’re kind of like lost songs that are going to come back to life some day. Some of it might just be one good line I wrote a long time ago that I think I could work with. CARLY: When did you first start writing & what inspired you to write? DALE: My next-door neighbor Dan and I started writing songs in 1972. We would always listen to music by Gordon Lightfoot, Seals and Crofts and James Taylor and we decided to try and write our own. I remember one particular song that Dan had started on a piece of paper that he left sitting on a stereo. I saw it, read it and told him how good it was. After finding out he was about to throw it away, I offered to take it home to work on it and it later became the song Sea Captain. 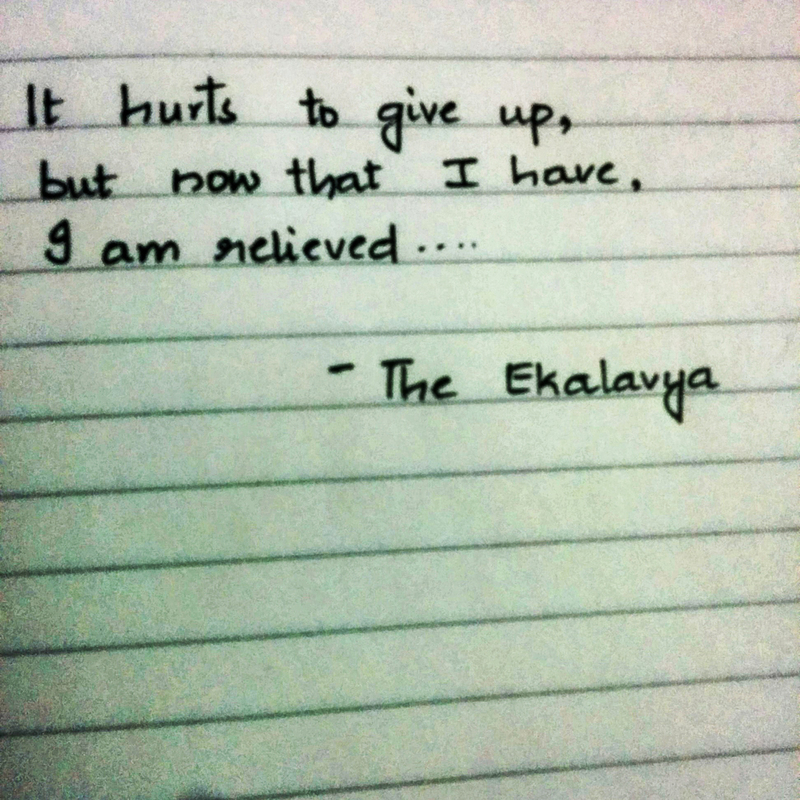 Once I started songwriting, I couldn’t stop. The quest then became the next song and wondering if my songwriting was going to get better. CARLY: Back then, if someone found these papers, how would you have felt? Do you have any songwriting advice? DALE: Sometimes you’re embarrassed by what you write because it’s so personal and the fear is that others will maybe have the wrong interpretation of what you have written. It could be totally different than what you think you wrote. I think when you first start you have lots to say, but you worry. As you get older, you are a little bit smarter with the use of words because you’ve done it quite a bit, and you can say just as much with less. It’s about picking the right words and the ability to convey what you wanted, with less. Basically you need to start writing something. It can be anything. When you read it over again sometimes the words move you and other times they don’t. If it doesn’t you just set it aside and move on to something else. You can always come back to it 20 or 30 years later. I’m looking at this stuff that’s quite old and I’m realizing in this moment that it might have another life. I’ve written 99 songs in my lifetime, maybe these handwritten lyrics on scraps of paper from the 70’s and 80’s that I’ve saved after all these years, will help me reach my 100th song this year. 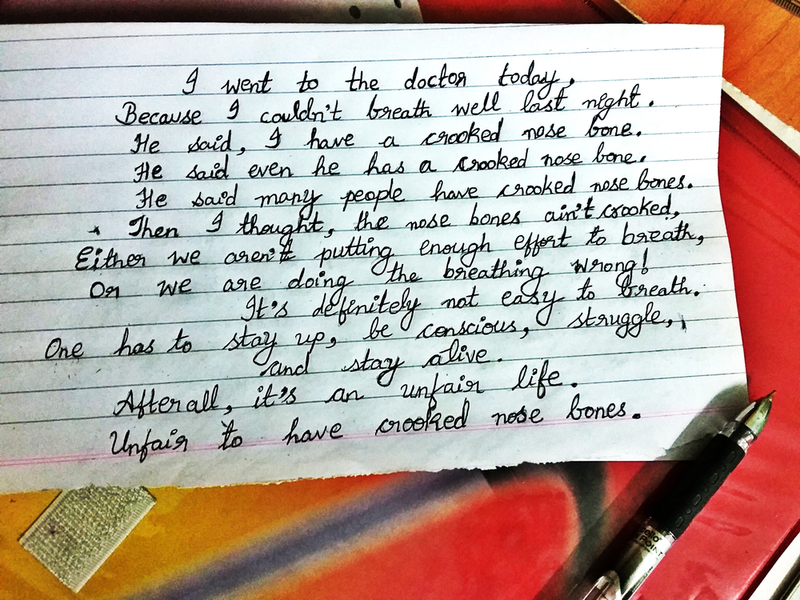 For author Karan Mahajan, handwriting is a necessity, a fact almost. He writes every first draft by hand, and while he encourages everyone to as well, he doesn't care if you do. But we do, so read this interview and hear his fearless take on how handwriting cancels self-criticism, as well as helps you avoid getting needlessly attached to language and doubling backward into revision before a story is complete. On January 23rd, 2016, Handwritten celebrated National Handwriting Day by showcases international alphabets. We opened a call to hand-writers around the world, and received characters of all kinds, including invented alphabets, like the one above by writer and artist Tatiana Roumelioti. 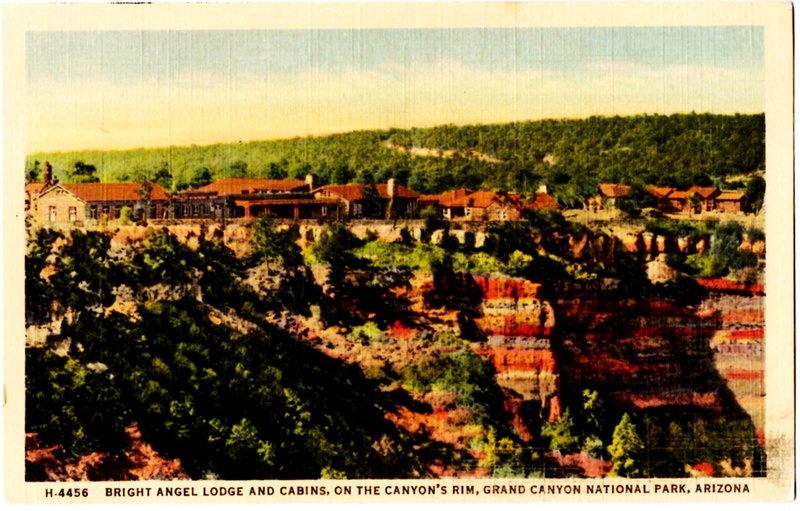 Halfway through the day, we even received four letters from The Smithsonian's Archives of American Art, which are forthcoming in their new anthology Pen to Paper. Though we celebrate on this scale once a year, the pen party never stops. Enjoy the work we received below, and stay tuned for our celebration in 2017. 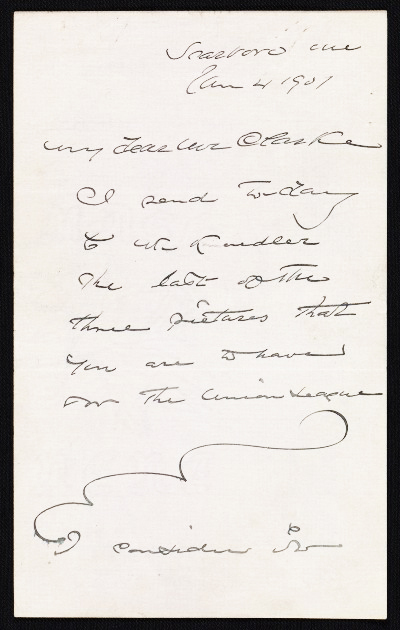 2. Letters from The Smithsonian Archives of American Art. 3. Poems from around the world. 4. Invented, Real, Permanent, No Longer. What does seeing all this make you want to do? Hopefully, pick up a pen. But after such an incredibly fun and wide-reaching celebration of handwriting this past weekend, all we can think about doing is one giant #bicdrop. And thanks to our brilliant graphics design, Megan Sykes, for providing us with a way to express this feeling. With decades of teaching, typography, and creative collaboration under her belt, New York-based designer and writer Gail Anderson has a CV worth calling home about — at least, it earned her the holy grail of graphic design achievements, the AIGA medal, in 2008. The design-ecstatic aesthete made her first layout years before her tenure as art director at Rolling Stone, literally cutting and pasting a magazine mockup of the Jackson Five in her childhood bedroom. She’s been busy ever since, developing identity campaigns for Broadway shows, co-writing typography books with Steven Heller, teaching type fundamentals in the MFA program at SVA, and co-partnering with Joe Newton at their eponymous Anderson Newton Design firm for projects ranging from book jackets to outdoor installations. Despite the ease and efficiency of digital design technology, Anderson swears by taking time to untether from the laptop, insisting that craft is crucial to typography, and slowing down with a pencil and piece of paper is crucial to honing that craft. In November we reviewed her latest book, Outside the Box, which honors this DIY by-hand approach, following the hand-lettering trend from its individual, artful beginnings to its contemporary commercial ubiquity. I had the chance to talk to her about the book’s composition, as well as handwriting and hand-lettering in general — how it plays into her life as a designer, and design as a whole. SARAH MADGES: What role does the pen and notebook play in your life? GAIL ANDERSON: I’ve grown increasingly particular about the pens and notebooks I use, since I really enjoy the physical act of writing. I’m a fan of black Pilot Varsity fountain pens and Pilot Precise V7s. And I was extremely loyal to those Japanese Oh Boy notebooks with the thick, ruled paper, even after Chronicle acquired them and put the Oh Boy logo on the front. I have two left that I’m saving for God knows what since they’re now out of production. I moved on to Muji, and then Moleskine, and am now working my way through some Field Notes steno pads. I even keep a paper date book, so clearly the art of writing still means a lot — possibly way too much — to me. MADGES: You divided your book into four sections — DIY, art, craft, and artisanal. How did you come up with these four categories? Was it always clear you were going to organize the book this way? ANDERSON: I knew I wanted to have some kind of system to categorize the material. I’ve learned a lot from working with Steve Heller for so many years, so I did what we always do with our books — I spread the work out with someone I trust and we let it sort of organize itself. It’s too confining to categorize stuff in the research stage, but you can’t wait till the design stage either. It was really fun to come up with section titles, and once my design partner, Joe Newton, and I got through that process, I felt like we had the contents of a real book in front of us. Type Spread from Outside the Box. MADGES: Do you see a significant difference between what’s considered handwriting and hand-lettering? How would you define the difference — is it intent? Actual artistic design and effort? ANDERSON: I wrote out Debbie Millman’s foreword by hand and consider that to be handwriting rather than hand-lettering. When I look at it now, though, it seems so deliberate (and some folks have assumed it was a font). Maybe it does have something to do with intent — I’m not quite sure where the line in the sand is. MADGES: Why do you think people respond to hand-drawn lettering? Do you think there will always be a demand for it? Do you imagine it will lose popularity any time soon? ANDERSON: People connect to branding and advertising that feels intimate and artisanal. 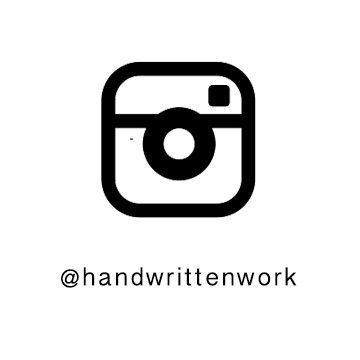 It’s somehow less “corporate," even though hand-drawn type is used by just about everyone now. I think Andrew Gibbs from the Dieline said it best in the book’s intro: “In all my years of seeing packaging trends come and go, there is one style that has stood the ultimate test of time: hand-drawn.” I admit that a few years ago, I thought, “Well, how long will this last before we swing all the way back to Helvetica?” But in some form or another, hand-drawn type is here to stay. MADGES: Do you see a similar resurgence in classic or vintage fonts in reaction to the digital age? ANDERSON: I see students who crave the opportunity to work with their hands — kids who’ve pretty much grown up in front of a computer. While embracing technology is key to their success as designers, they don’t want to feel tied to their laptops. We did a hand-lettering class last week and the students actually started applauding at the end — that’s how hungry they are. And I think they are beginning to seek out classic and vintage fonts, which is such a relief after so many years of all those awful free fonts. MADGES: Is there a distinct moment or brand that signaled the beginning of the hand-drawn movement’s resurgence? Or was this a gradual, inevitable change in response to an increase in digital and technological saturation? ANDERSON: I wasn’t plugged in enough to recognize a particular moment, but it certainly seemed like everyone started drawing — and posting — around the same time. I think it’s all about Pinterest and the other sites and blogs where designers started strutting their stuff publicly. It sometimes felt like everyone jumped on the bandwagon without adding a new twist, but the best of the best have carved out their own niches. And yes, I do believe that it was a reaction to technological saturation and the desire to create something seemingly personal and unique. MADGES: What first compelled you to typographic design? When did you first start collecting typefaces and fonts? ANDERSON: I started designing magazine layouts as a child, first for The Jackson Five, and then for The Partridge Family. Even then, my pages were filled with my 12-year old version of typography, which was based on Spec and 16 magazines and their Letraset rub-down type. 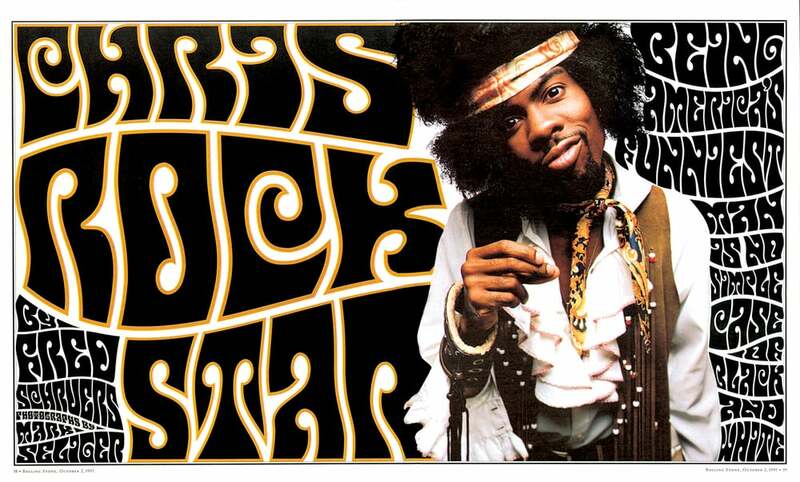 I started saving photostats of typefaces in college, but things really clicked when I worked at Rolling Stone with Fred Woodward. His good taste and sharp eye were instrumental to the growth of my own skills. MADGES: Marketing research has found that the first piece of mail someone is likely to open has a handwritten address. 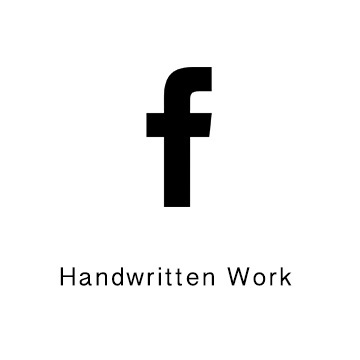 Do you think this is because of handwriting’s scarcity that it’s perceived as more valuable? Is it more authentic? 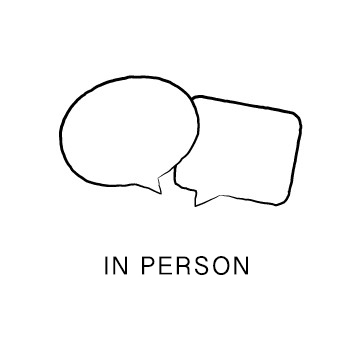 Personal? ANDERSON: I’m not in a hurry to open anything that’s got a bulk rate stamp or a mailing label (I hate them on greeting cards). But I’ll give something that has a handwritten address on it a chance, though admittedly I’ve been fooled once or twice by handwriting fonts. I appreciate the idea of someone taking a few minutes to put pen to paper. MADGES: You note in your book that hand-drawn lettering isn’t necessarily popular just because of the attendant sense of nostalgia, but rather because of its established historic design technique. What makes this technique more or less difficult to execute? What are the pros and cons? ANDERSON: Drawing naive type is one thing—and often not as easy as it looks—but doing what Martin Schmetzer, for example, does just blows me away. There’s a tremendous degree of patience and utter stillness required, but there’s also a touch of genius that is at a whole other level. When I was editing through book images, there were times when I’d just stop in my tracks to stare at pencil sketches that were so incredible that they might as well have been finished pieces. And Martin thought his sketches were “rough”—seriously. MADGES: I’m similarly amazed that a brand as huge as Chipotle uses handlettering. Do you think it is feasible for any even larger companies to follow that approach? How do you think consumers would respond if McDonalds rebranded with letterpress? ANDERSON: The idea of a McDonald's “artisan” chicken sandwich rings about as true as the idea of a company like that rebranding with letterpress. But Chipotle’s pretty huge and their incredibly inviting branding brought in a lot of customers, including me. Hatch Show Print does McDonald’s! Ha. MADGES: What does it mean for design and typography that the next generation might not be able to read cursive because it is no longer taught in schools? ANDERSON: I guess we’ll see a lot more child-like lettering that isn’t an affectation! I see my nieces’ and nephews’ handwriting and it’s just terrifying. But I am a product of Catholic schools in the 1970s, where penmanship was paramount. On the other hand, I also see young designers who can make letterforms into magic on their computers, so perhaps it all evens out. As long as there are cursive typefaces to buy, they’ll just have to learn to read script even if they can’t write it. MADGES: Looking at your site, I’m impressed that you are an incredibly versatile and prolific designer. You’ve worked as Art Director at Rolling Stone, an educator at SVA, are on the board of TDC, you designed probably my favorite US Postal stamp — the Emancipation Proclamation. How do you take on these projects — what strings them together? And what’s next? ANDERSON: I actually just started a new job recently that should keep me challenged for a good long time. I’m now the Director of Design and Digital Media at Visual Arts Press (SVA). My career is tied to a love of working with words, whether it’s designing them or writing them. 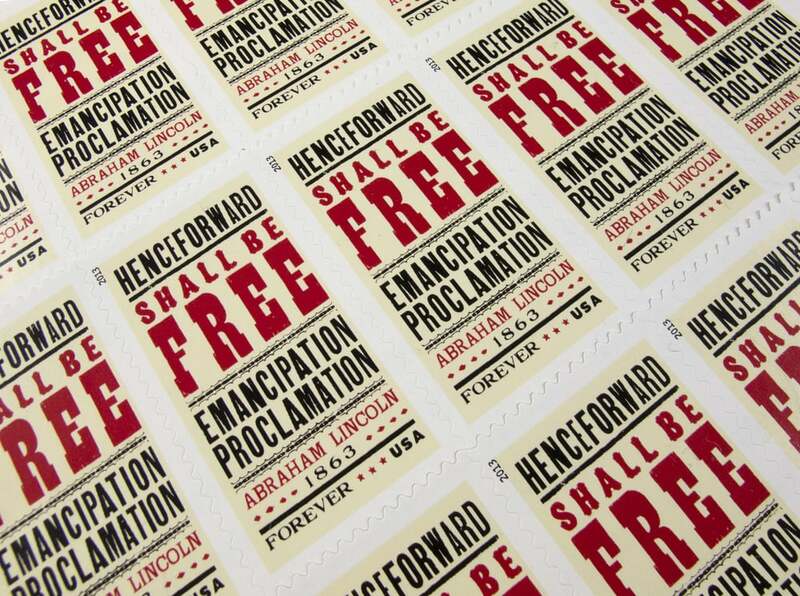 The Emancipation Proclamation stamp may be my all-time favorite project. I got to design using a piece of history — the first words from the document itself, and was able to set the actual type at Hatch and watch Jim Sherraden print the poster that was then reduced to stamp size. It doesn’t get better than that. Handwritten is wildly happy to announce its newest curator, Carly Butler, who will be heading up a new column called Life's Letters. 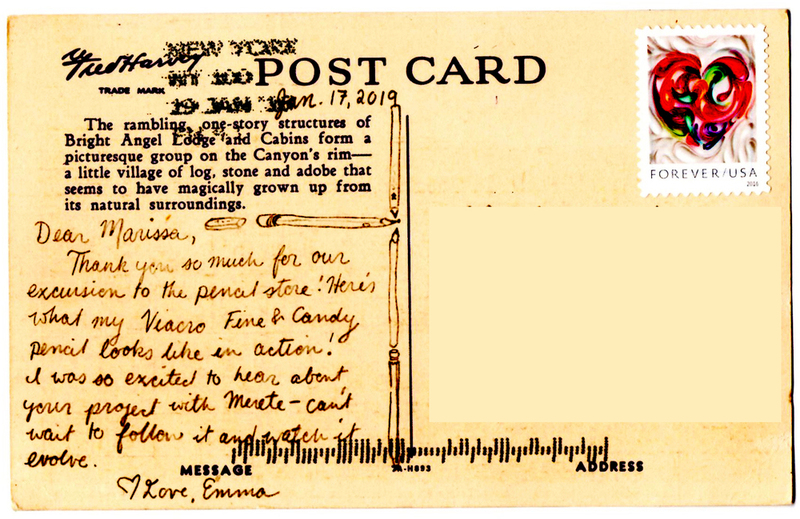 The column comes from a discovery, which turned into journey, blog, and premise for a book: 110 love letters written from her grandmother to her grandfather after a chance meeting during World War II. The trajectory of her life took an irreversible turn: she followed the letters and her heart to London, England, to retrace the steps of her grandmother's letters 67 years later. At the outset, she didn't intend to write a book, but while in London, she realized something: she was writing her own Life's Letter with each step. So at the conclusion of the physical journey through this past, Carly set out to put down her experience, which has turned into the forthcoming memoir, Life's Letter. Along the way, something else happened unexpectedly: as people began to find out about her journey through articles, interviews on television, and more, people started sharing their own life's letters with Carly, each as unique and moving. She started receiving requests from universities, organizations, and genealogy clubs to speak on behalf of the power of the pen, which only sent her in further examination of the connective tissue of the physical traces of a past and person. It shined a bright light on a simple truth: every family has a story. But what we don't realize without zooming out, is that so many of these stories are preserved in pen. And so, this is what her column with Handwritten will be about: the stories told through letters about life, lives, and living. The first post will be on Sunday, January 17th, which aligns with time: the first letter of her grandma's is dated January 17th, 1947. It will also be the first time Carly has published a single, entire letter of her grandmother's. In this column, her own life's letter will provide the base for others, and create a space to collect and recollect unforgettable lives through letters. We welcome Cary Butler to the Handwritten team, and cannot wait to watch her column unfold. To tell Carly your story, and submit to her column, you can reach her at: lifesletter@gmail.com. Carly Butler currently lives in British Columbia, Canada with her husband Adam. She is a photographer and writer by passion, and a customer relations coordinator at a bank by profession. She has a degree from the University of Guelph in International Development and Economics. Her story has been featured in media outlets such as BBC Breakfast, The Times, London's Evening Standard, BuzzFeed, Huffington Post, Today Show, Good Morning America, the Global News, and dozens of other publications. Graham Barnhart is from Titusville, Pennsylvania, the birthplace of the oil industry. He is an 18D, Special Forces medical sergeant, and has been deployed twice: once in Iraq for nine months, and the other for seven months in Afghanistan. I didn’t know all this when I met him at Hotel El Greco in Thessaloniki. All I knew was that Graham Barnhart was a poet and my roommate for the summer. We were the only two men taking part in Writing Workshops in Greece on the island of Thassos. It being my first time living away from home and having a roommate other than my parents, there were a lot of question marks in my eyes. The day we were to meet, I went for a long walk along the port to the White Tower and other landmarks drenched in Greek history. In between monuments, I wondered if Graham and I were searching for the same thing; if we would be capable of having a good time with a beer in one hand and a pen in the other; and if we could mix the sentimental with the comical, the work and the play. A few hours later when I returned to our hotel and skipped up the flights of stairs, I was stopped by an unfamiliar, familiar face. I wasn’t sure what Graham looked like—his Facebook profile picture was a black and white image of a random old bearded fisherman—but something told me this was him. “You’re Graham,” I said, almost accusatory. I would learn this to be his normal, quiet, calm exterior. I would also learn that he wildly records his surroundings, almost instantly rendering them into lines of expression. One of our first nights, we sat in the restaurant beneath our rooms, watching locals throw napkins over the others dancing to the live music. When Graham asked why they did this, I told him it was a sign of respect, to the musicians and to the dancers. During the first student reading, Graham read a poem about his time in the military and in Greece that centered around the image of the napkins.. He had this uncanny ability to live in the moment, to inhale all that was around him and let it all sink onto a page, and a poem, as he exhaled. Throughout our time together, I learned something else about Graham — he handwrites wherever he goes. This makes sense, as he is always on the move in the military, but I wondered how he balances the two worlds — the military and literary. We caught up recently and talked about this: his time overseas, balancing the military world and the literary world, and his thoughts on the handwritten word. DEMETRI RAFTOPOULOS: In Thassos, you carried around your notebook everywhere, especially on our excursions to other towns. What kinds of things were you writing? GRAHAM BARNHART: I write down a mixture of notes and poems, usually more notes and lines than full ideas for a piece. I try to pursue an idea as far as I can in that first jotting, to get everything out as it occurs to me. I try not to list off ideas for what the poem will be about. That feels like a shying away from the sometimes (often) daunting moment of inspiration. That moment when you can feel but not yet articulate all the potential of the idea that has struck you. It’s too easy to try to categorize or outline that idea than put it aside. That avoids all the hard work and limits the creative potential to what you already understand or can conceive of. The best work is work you don’t understand fully until you’ve written it. It’s better for me to have the image or handful of lines so that I can come back to them, hopefully experiencing again whatever it was that made me want to write them in the first place. A good idea or plan for a poem can sometimes turn into a trap. RAFTOPOULOS: Yeah, I don’t think I ever fully follow through with an “idea” the way I thought I would when it first hits me. Always lands on the page differently than it does in my head. What’s your process like? BARNHART: I tend to start by hand though I don’t usually think of my handwritten work as a first draft until it hits a computer. On paper I might complete a poem but keep marking it up, fussing with it really, until I get motivated enough to actually type it up. That’s when I know I have a draft rising up out of all the daily notes and scribbles that I really want to pursue. Handwritten work feels more in-progress to me, like I haven’t quite found the right configuration of ideas and images to call it a poem. Once those components are present I do most of the finer tuning on a screen. That’s when I start thinking about outlining or diagraming the piece and when I add notes for further revision. The handwritten phase is not always a requirement, but it serves as a permanent record and a well of all the ideas and lines that might otherwise be forgotten. I love to flip through my current and older notebooks as a way to warm up to writing. I don’t always ending up working on the piece I sat down to revise but something usually happens. That’s all I can ask for sometimes. RAFTOPOULOS: Absolutely. Do you always use the same notebook, or do you have different ones for different purposes? BARNHART: I’ve always kept some sort of a notebook, though kept might mean that it sat in my room or desk for weeks without being used. I have a bad habit of writing down ideas in whatever paper is handy rather than using my designated writing notebooks. So I end up with notes and drafts scattered through everything else. Having a pen and paper handy is a big deal in the military. There is always information being put out, whether it’s the time of the next formation, how many rounds of ammunition you’re drawing for the range, or a casualty description for a medevac request. It’s considered unprofessional to show up for a briefing or class without something to write with and on. That comes in handy when trying to take poetry notes. No one really questions what I’m doing. Not that writing poetry would be a problem, but explaining my writing to a soldier would be about as long and complicated a conversation as explaining what I do in the military to a civilian. It’s just easier most days for everyone to think I’m noting the effect range of a 60mm mortar. RAFTOPOULOS: And one notebook specifically that you described to me as a “writeintherain” notebook. BARNHART: Yes. Recently — the last 15 years maybe — little flipbooks kept in zip lock bags have been replaced with waterproof notebooks made by a company called “Rite in the Rain.” They have thick, waxy pages and only work with regular, old ballpoint pens, rather than the fine tip pilot pens I really like. In fact the notebooks even come with an “all weather pen” which is just a short, steel ballpoint. 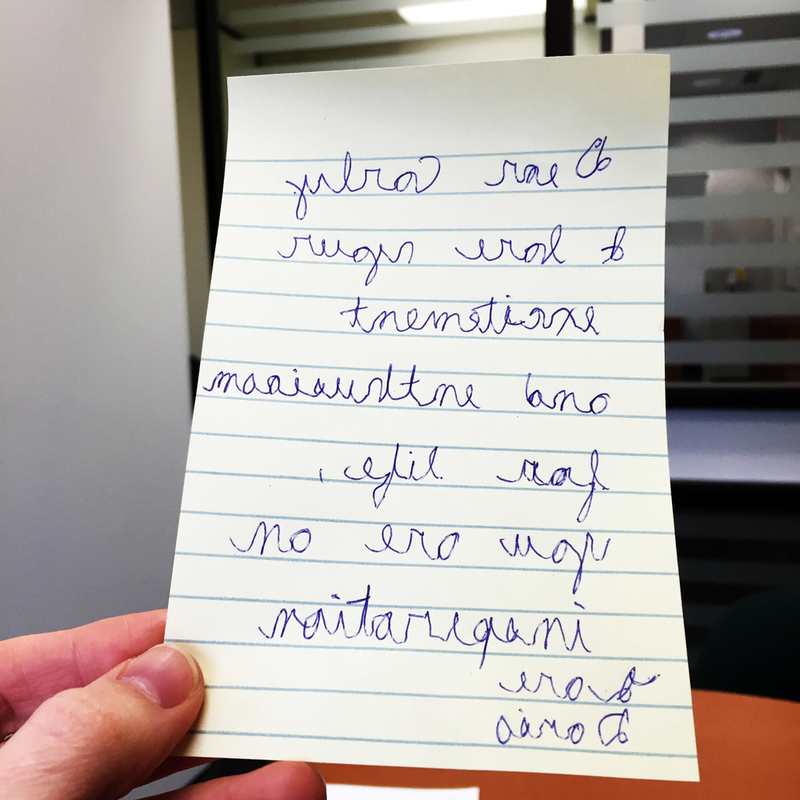 RAFTOPOULOS: How about your handwriting — does it change from notebook to notebook? I imagine writing in the rain could “weather” your penmanship. BARNHART: I don’t make the handwriting look different on purpose, but because of the materials used it just does. It actually feels harder to write on the all weather paper, kind of like the notebook is resisting anything not specifically military. Though of course it’s also a pain to write military stuff. That material tends to be short notes and lists rather than lines and stanzas. I mentioned not being very good at keeping my writing consolidated. So on top of half filled moleskins lying around I also have a bunch of waterproof notebooks filled with operation orders, mortar targeting grids and the occasional poetry stanza. I don’t try to keep these things separate in the notebooks though. I like the juxtaposition. RAFTOPOULOS: You have experience teaching and I know you want to teach in the future. Do you think you’ll assign writing prompts in class, just so your students are forced to write by hand as you sometimes are? BARNHART: I think in class writing prompts are fantastic, especially when they’re handwritten. That format forces a sense of urgency but also of care. You have to physically create each letter, but you may only have 5 minutes, or 10. For me this frees me from my normal analytical and self-editing process. I just get something out there that follows whatever external guidelines the prompt demands. Some people don’t like prompts feeling they stifle their own creative process. I rather think that prompts free your creative process from you, if you are diligent and faithful to the restrictions. So in short, yes, I will absolutely assign handwritten prompts. RAFTOPOULOS: How did you decide on pursuing an MFA? BARNHART: I decided on the MFA in undergrad and actually started the application process before I decided to enlist. It seemed like the best way to pursue a writing career and avoid student loans for as long as possible. I knew I wanted to write and didn't much care what sort of real life job I ended up with so an MFA seemed like the right way to go. RAFTOPOULOS: What was it like writing or attempting to write in places like Iraq and Afghanistan? BARNHART: I wrote very little digitally during deployments. In fact I didn’t write much at all. I took sporadic handwritten notes when an image caught my attention, sometimes even a full poem but I didn’t spend much time actually working. I regret that now of course, I wish I had at least kept better daily logs. On both trips I did have my own room with a desk, a bed and some books. I wouldn’t take my laptop out on patrols or missions of course but it was around. I always had a notebook in my pocket though. Actually it was in a pouch on my body armor. I kept pen and paper, some caffeine pills and a little iPod shuffle that was plugged into my ballistic hearing protection. The pouch was intended to hold shotgun shells so it had little elastic loops sewn all over the inside. RAFTOPOULOS: How were you able to balance both of these worlds — military and literary? BARNHART: Most days if I ended up with some notes or lines, I felt like that was a success. It was a sufficient sign that I hadn’t given up or lost writing which was a big concern for me post undergrad. I went from learning to write in an environment structured to support that to one structured to support a very different goal. I was also learning and studying in the military, but of course none of it was directly poetry related. It helped to think of it, especially the miserable stuff, as material. RAFTOPOULOS: Were you ever worried that you would stop writing completely? BARNHART: There was a point during the medical training when I actually thought I would. That course was intensive. We did physical training from 6:30-8:00, and then we were in class from 9:00-5:00. Afterwards, we spent three to four hours studying. There were written and practical tests every week. Learning that much medicine that fast pushed everything else out of my head. I completely forgot all of the Arabic I had spent the last six month learning. I didn’t feel like I had the capacity for any other kind of thinking. RAFTOPOULOS: I can imagine. I’m happy you haven’t stopped writing. How much of your poetry is inspired by your time overseas? BARNHART: Much of my writing is loosely inspired by my deployments, mainly Afghanistan because it was more combat-oriented and also more recent. Many of my poems are set there, though I prefer to rely on an ambiguity that implies the setting alludes to it. I think of the war and my military time in general as a useful context for exploring ideas in poetry but I don’t think many of them as “about” the war, or at least, the ones I find more interesting to write are not. Then again, my time in the military is relatively short compared to most of the guys I worked with. Some of them have been to Afghanistan more than ten times, though some of those trips were as contractors. I’m hesitant to talk about what the war is like because I only know about my brief experience, leaving out the long history of this conflict, not to mention that largely silent or unheard voices of the people who actually live there. I never want to say this is what Afghanistan is like. I can only say this is what I saw in Afghanistan while I was there as an American soldier. Graham Barnhart is an 18D, Special Forces medical sergeant, and is an MFA in Creative Writing candidate at The Ohio State University. His writing has appeared in the Beloit Poetry Journal, the Sycamore Review where he was a finalist for their 2014 Wabash prize, Subtropics, The Gettysburg Review, and Sewanee Review. He is also a finalist for the Indiana Review's poetry prize and the Iowa Review's Jeff Scharlett Memorial award for veterans. And is hoping to be back in Greece next summer so Demetri can continue drinking tsipouro with him and translating Greek for him. Kathy Orf is a calligrapher living and creating in St. Louis, MO. She has been practicing a “morning writing” ritual in which she sits down and draws in calligraphy without any prior planning for just a few minutes each day, a 365 project that allows her to continually approach her work in fresh ways. I had the chance to talk to her about what exactly calligraphy is, how it relates to handwriting, and how she became so invested in the art. SARAH MADGES: How and when did you first become interested in calligraphy? How did you come to make a career out of it? KATHY ORF: I had a “decorative arts” class in high school that included calligraphy and — I’m really dating myself here — macramé! Then in college, I majored in graphic design and had a whole semester of calligraphy, which was really rare. After graduation, I worked in graphic design until my second son (Alex) was born and then decided I should stay home and do calligraphy part time. I had started trying to sell my work at arts and crafts shows just 3 months after my first son was born and thought I would continue that. I’m not sure I would call it a “career,” maybe more of a passion or a creative outlet…It is really hard to support yourself doing calligraphy and luckily I never had to. That said, I’ve been doing calligraphy for 30 years. MADGES: When people hear the word calligraphy, they tend to think “beautifully ornate handwriting” or “wedding invitations.” How do you characterize calligraphy — is it an art form, a process of symbol arrangement, pimped-out handwriting? What are calligraphy’s essential elements? What makes it different from handwriting? ORF: I think calligraphy can be different things depending on how it is used. It can definitely be an art form…something which has been a struggle to achieve in other’s eyes. But it can be very utilitarian when it is used to address envelopes or fill in names on pre-printed certificates. I do not consider calligraphy to be hand-writing in any sense of the word. It takes years of practice and good instruction and some talent to reach a certain skill level. Calligraphy is not fast in learning it or its execution. The letters may look like they’ve been written quickly, but many times it is more deliberate than you might think. And the funny thing is, one important part of hand-lettering is consistency, but whenever I look at printed lettering, I look to see if the letters are identical to determine whether it is hand-done or a typeface. So, even though you strive for consistency, you also want it to look organic, like it came from someone’s hand and not a machine. MADGES: Does your handwriting resemble your calligraphy? Have you always had good handwriting? 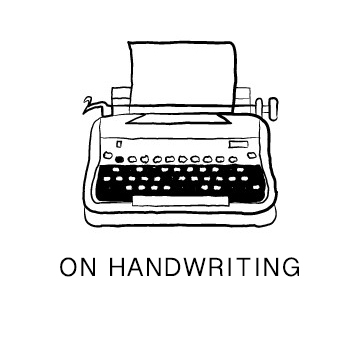 ORF: My handwriting is the worst…just ask my husband. But I think it is because I am always in a hurry when I am writing something and using a ballpoint pen. Put a calligraphy nib in my hand and it’s a different story. It’s almost like my hand knows what to do at that point. MADGES: Do you have one main mode of calligraphy, or are you always inventing and adapting the letters and symbols to their specific purpose and environment? ORF: I know many different hands…italic, uncial, blackletter, foundational, romans, copperplate…and variations of them all. But I tend to get in ruts and use the same personalized style all of the time. I guess you could call this style my “calligraphic handwriting” because that is what I use to write with most of the time. My tool of choice to create this lettering is a pointed pen…Brause EF66. It is very flexible and can be used to write very tiny or even letters up to an inch tall. 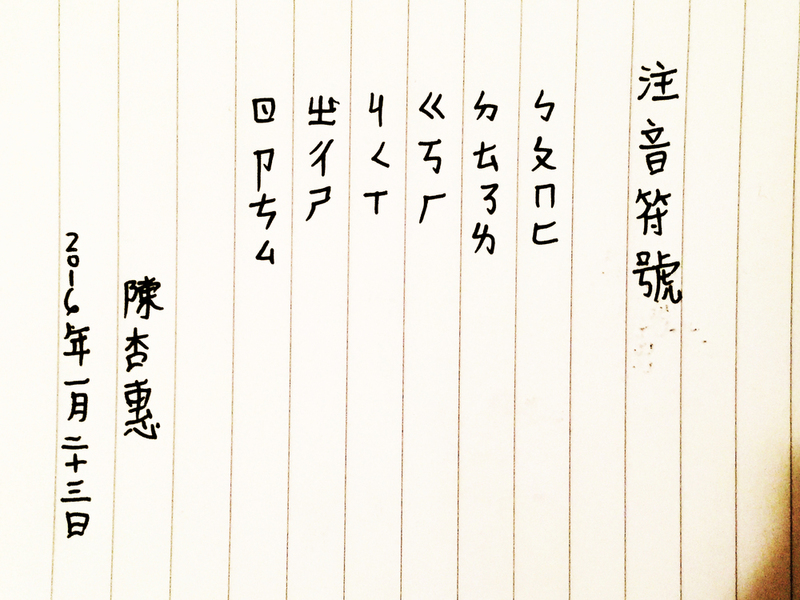 Every morning, I pick up my Brause, a piece of paper that I had already painted and just write a saying using this “handwriting,” although it does not resemble my actual handwriting at all. But, when I sit down to do a finished piece, I might think more about what I want it to look like, and what style I should use, and even use a chiseled nib, like a Mitchell. MADGES: What are your most common assignments — and what kind of clients do you attract? How long do you spend working on individual pieces? ORF: Most of my work of late is just doing sayings for friends. I don’t advertise, except through word of mouth. I have some certificate work for Washington University in the spring and fall, and will do a wedding or two a year, but usually just for friends, as I’ve never really enjoyed the rote nature of the work. I also create pieces to sell at fairs using my photographs of things that look like letters that I combine with my calligraphy. I can usually do a simple lettering job in a couple of hours. If I am creating a background and lettering a larger piece, it takes maybe 6 to 8 hours — it really depends on so many variables. 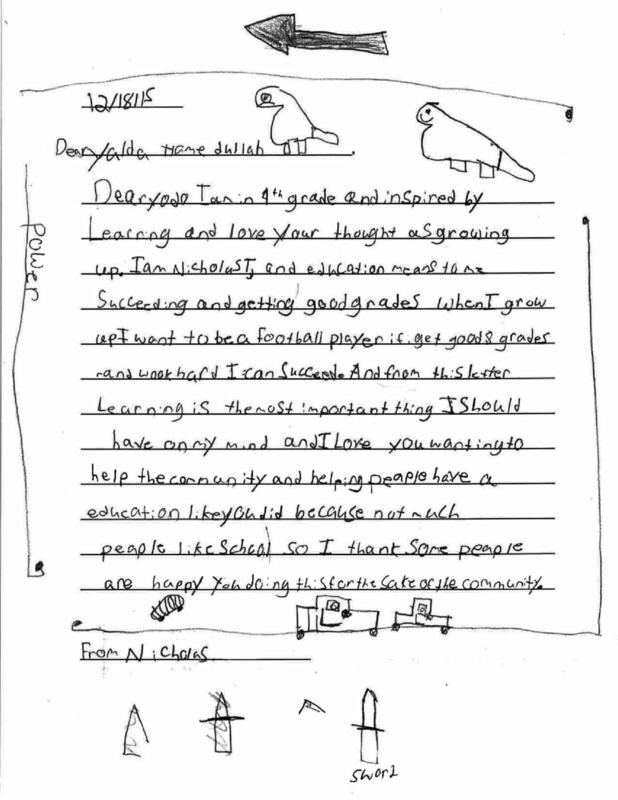 MADGES: What do you think about the diminishment of handwriting and cursive lessons in U.S. schools? Have you noticed any change in the demand for and reception of calligraphy as handwriting diminishes in use and popularity? ORF: I think it is terrible that they are trying to stop teaching handwriting in schools. I think it is one of those things that they will later decide was detrimental to cognitive development. I’m not sure diminished use of handwriting has affected the popularity of calligraphy as much as the increase in fonts that look like it! MADGES: What are some of your favorite examples of calligraphy in general — historical, global, etc.? ORF: I just went to see the Book of Kells this summer at Trinity College in Dublin and it was amazing. I also love the work that Donald Jackson did on the St. John’s Bible that he just completed a couple of years ago for St. John’s Abbey and University in Minnesota. But I am mostly drawn to and excited by contemporary calligraphy. MADGES: Why do people respond to it? Do you think there will always be a demand or desire for calligraphy? ORF: I think people respond to calligraphic work because it so often interprets words in a way that touches them. Sometimes it’s because it is something they “wouldn’t have the patience for” — I hear this very often. And sometimes just because it is beautiful! I think there will always be a desire to do calligraphy as art, maybe not as much of a demand for invitations and such, although the whole retro movement may help, like it has for letterpress printing! 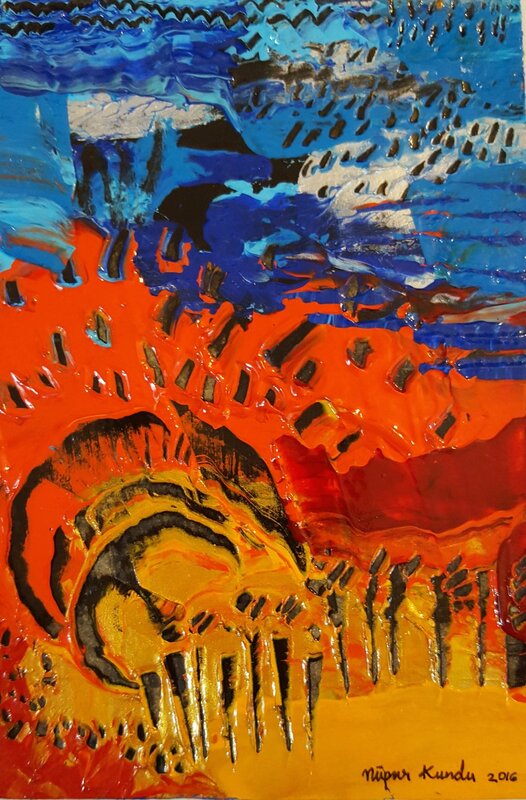 But to survive, I think it will have to grow more into the realm of art and it has been doing that for a while now. MADGES: Any advice for calligraphy enthusiasts out there? ORF: Join your local calligraphy guild. Learn from good teachers and don’t just take a class and never do it again…practice or do homework if it is assigned. The best thing I ever did was to take a year-long class taught by a calligrapher named Reggie Ezell. He travels to four different cities for one weekend of every month of the year teaching almost everything you need to know. The great thing is that there was homework each month, and I DID THE HOMEWORK…and that made all of the difference! Unfortunately, Reggie is retiring after next year. But that was the best investment of time and money I ever spent. Angela Flournoy and her debut novel, The Turner House, are igniting the literary scene with their unassuming eloquence and nuanced commentary on the deleterious effects of the 2008 housing bubble and the black American diaspora, whose interrelated history subsumes the 13 members of the Turner family as they navigate a crumbling Detroit. Garnering significant attention and accolades for a debut novelist, Flournoy is a finalist for the National Book Awards in Fiction, and was named a “5 under 35” writer, designations that left Flournoy nearly tweetless, only able to write “whaaaat” in response. Despite this rapid success, when we saw her during an intimate conversation hosted by CLMP at the New School, there was an easygoing magnetism to her speech, posture, and perspective. Although Flournoy is the first to admit her excitement for the book’s positive reception, watching her speak, it seemed clear that we are in the presence of a person who has remained rooted at the center of the spinning wheel. 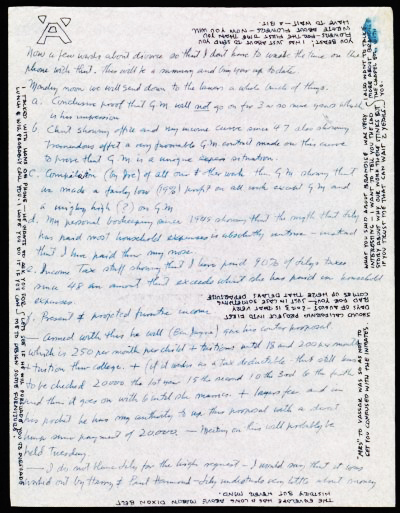 So when we found out that Flournoy wrote the entire first draft of The Turner House by hand, we went wild with theories — perhaps the handwritten word explains why she is so grounded, or has enabled her to access memories of her father’s Detroit childhood, etc. Thankfully, Sarah Madges from Handwritten spoke with Angela about writing The Turner House by hand, thereby recusing us of the need to go on any longer. We wish Angela the very best this week, and hope everyone who reads this here will read her book, and then handwrite their own. ANGELA FLOURNOY: Handwriting has always been a part of my process. 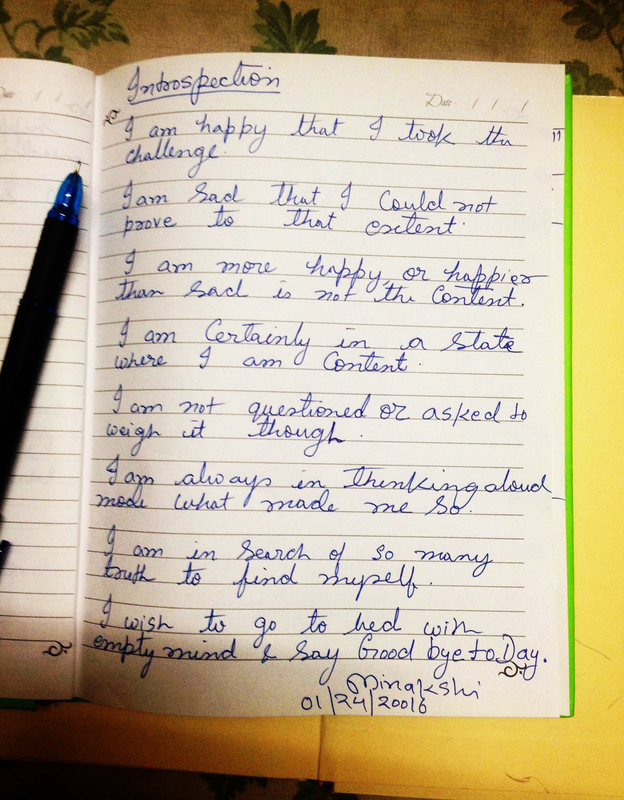 I got my first journal when I was eight years old — I don’t have them with me or I’d check, they are at my mother’s house. I’ve always worked out ideas or feelings through handwriting. For most of my academic life I was writing papers on the computer and generally typing things, and it didn’t seem like the most natural way to work on something that was not like a term paper. When I was first writing short stories in undergrad most were written on a computer first, but when I got to Iowa, one thing that was an issue for me was procrastination. I didn’t have the smartest of phones, I was always a couple generations behind — now that’s an issue — but I figured if I left the house I’d focus more. So I would sit in the coffee shop and sit on my laptop hanging around on the Internet instead of writing, even after downloading Self Control, because you could still override it. So I returned to handwriting to focus — there were not as many distractions. Especially when you’re working on something historical, you want to look everything up on Google, which is useful in revision, but it gets in the way of writing when you stop and end up in a Wikipedia rabbit hole. 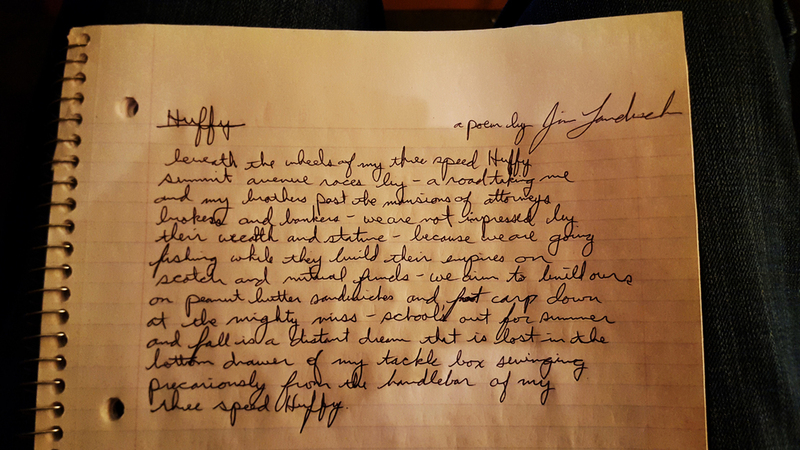 Writing longhand made me focus, and slow down. MADGES: Has your writing always been historical in the way The Turner House is, or written about, for example, a city you never lived in, but know about? FLOURNOY: History is always a part of the way that I envision stories. This novel, especially, but I had written 70 pages of another novel based in a city I never lived in and it was a similar process. MADGES: How would you get yourself to push through the writing instead of succumbing to the kneejerk reaction to look things up — would you leave notes like “look up later” and just keep going? FLOURNOY: Well I would put an asterisk next to what I wasn’t sure was right. The thing about literary fiction is that it’s not one of those things — I’m not writing a civil war period piece that heavily relies on research and that people are so into it and will feel betrayed if they feel it’s inaccurately portrayed, like, “That’s not what happened at Gettysburg!” That’s not the burden of the kind of fiction I write. You just need to have a foundation with reality. I would just write in the margin: Look this up! MADGES: You said you started writing in a journal when you were around eight years old. Did someone encourage you to do that, or did you sort of come to that naturally? FLOURNOY: Well, it was a Christmas present from an aunt of mine and so then it was just, there. And I’ve always been a person who, as soon as I learned how to read, read a lot, so it was like of course I would do this thing. No one was telling me I have to do it, and there wasn’t much else to do. Now, we live in a time of distraction, so it might be different. People talk about wanting to pick it up as a practice. MADGES: Did you always prefer to write by hand? Have you found greater success this way, or did you notice yourself writing/editing differently with a word processor? FLOURNOY: I feel like I’m a lot less apt to take risks when I’m typing out a story because it’s so easy to delete things; whereas, when you’re writing by hand you have to get to a certain critical mass before you “x” something out. It’s too easy to reread every sentence, go backwards rather than forward. The editing process should be the editing process. You handicap yourself when you keep cutting down your own ideas. One on its own might not be great, but they might all make sense in concert with themselves. When there’s that blinking cursor encouraging you to cut them down, you might lose what the idea was really supposed to be. MADGES: Right! And once you delete them there’s no evidence of those ideas, at least in a notebook you can usually still read the words you crossed out. 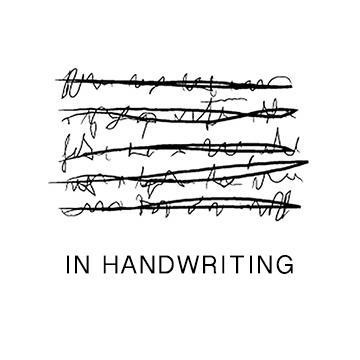 So how does handwriting figure into your writing process? What role did it play in writing the Turner House? FLOURNOY: One benefit of writing longhand, I’m more gentle with myself on first drafts. It hurts to scratch out all the pages you wrote in the day. I usually write the first draft longhand with notes in the margins and sometimes rudimentary edits as they fit on the page. For this novel, I wrote maybe a couple chapters at a time, then I would go and type them into this master novel document. That’s already two editing processes: on the page in the margins, and then of course I’m not going to transcribe something that is terrible, so again when I type. And because I’m not rereading everything in the document, that document lives separately, it ends up getting sort of built up and I’m able to look at what’s there, what’s working and what’s not, and change it later. It allows me to have a base, and provides some time between writing something and wanting to jump into revising it and moving, structurally, whole chapters around. Once I finished a notebook I would assess: where are we actually in the larger narrative? Some of the notebooks are half writing prose, half notes. It took about seven college ruled Moleskine notebooks. MADGES: How long would it take you? Did you find yourself having to stop because you couldn’t physically write anymore, or…? FLOURNOY: No, I’m not a fast writer. On some days, it might have been more staring and thinking and I maybe only wrote five actual pages in my notebook. On other days, I could very easily look up and there’d be 15 pages in front of me. And even though handwriting is larger, those 15 pages would end up being 20 pages because I would think of things to add or subtract when transcribing. I don’t really remember my hand cramping. I wish I was one of those people who could really get a lot out of writing for three hours every day. For me, I have “writing seasons” and I have “thinking about writing seasons,” and when I am in the writing season, I just hunker down. I wake up early. If I don’t have a block of four hours, I feel like the time is already gone. I am not a fast writer. I was working at a D.C. public library, and I would have a shift from 5-9pm. So I would get to the coffee shop at noon and I would try to finish, or start a chapter. MADGES: Do you keep a journal, or carry a notebook and pen around with you? FLOURNOY: I have a journal but I don’t write in it much. When I was writing short stories, I would sometimes journal, but when I was writing this novel, I think the last thing I wanted to do was pick up another book and write in that book, too. I have slowed down journaling for myself. Now, I use it more for marking moments, or milestones. MADGES: How do you feel about the fact that cursive is no longer required teaching in U.S. elementary schools? FLOURNOY: I am terrible at cursive — I have terrible handwriting — but I can read cursive. But say, how can you even read archival documents if you can’t read cursive? You have to trust someone else’s transcription of it. It’s as if you’ve lost a language if you can’t read it for yourself and that is dangerous because people can say that any document says anything. It’s bad enough I only know one language fluently — I can at least read and write in Spanish — but it’s bad enough that most people in the U.S. don’t even have reading proficiency in a second language. But to not even have that proficiency in the language you were raised with? We’re not even going to be a monolingual culture anymore — we’re going to be whatever half of monolingual is. MADGES: Well, you had a very successful debut! How do you feel about being shortlisted for the National Book Award? Were you surprised? FLOURNOY: Yes, I was surprised. A sort of big moment for me was being on the long list, because who thinks that’s going to happen? I was in my apartment and I had sorted out my clothes and was going to take them to the laundromat and my phone started vibrating. This is stuff your younger writer self doesn’t dare fantasize about. I never really fantasized about publishing my book in general. It’s been great — it’s opened up all these different opportunities. I’m going to be teaching at The New School in the spring, which is exciting. MADGES: Did you write about that in your journal? FLOURNOY: [laughs] Yes, the last thing I wrote was in, like, August, and then: “I got on the shortlist!” It starts to look like a timeline, not a journal. Baby steps. I’ll get there. From her site: ANGELA FLOURNOY is the author of The Turner House, which is a finalist for the National Book Award and the Center for Fiction First Novel Prize, a Summer 2015 Barnes & Noble Discover Great New Writers selection, and a New York Times Sunday Book Review Editors' Choice. She is a National Book Foundation "5 Under 35" Honoree for 2015. Her fiction has appeared in The Paris Review, and she has written for The New York Times, The New Republic and The Los Angeles Times. A graduate of the Iowa Writers' Workshop, Flournoy received her undergraduate degree from the University of Southern California. She has taught at the University of Iowa and The Writer's Foundry at St. Joseph's College in Brooklyn. She is joining the faculty at Southern New Hampshire University's low-residency MFA program in Spring 2016.